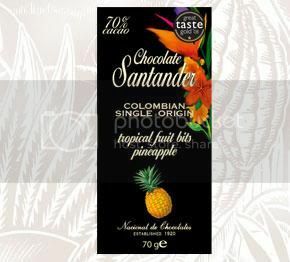 Colombian Pineapple Chocolate Bar - Mmmlingerie. A Taste of Beauty. I personally love the taste-radar they’ve included. It gives you something of a guideline on what to expect. 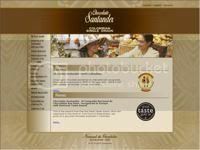 Chocolate Santander is a Single origin chocolate established in 1920.